Now that we’ve reached 100 millionaire interviews and I’ve shared their numbers, let’s dig a bit deeper into what we’ve learned so far. After all, that’s the reason I do these interviews — so readers can learn what millionaires have done to become wealthy, then decide which of those steps they’d like to apply to their own finances. I could have sliced and diced the information a million different ways (ha!) but in my on-going spirit of focusing on the big wins that lead to the most impact, here are 13 findings I think are worth sharing. We’ll do this in typical E-S-I fashion, focusing on what millionaires have taught us about earning, saving, and investing…then adding in other results at the end. Also to note, these interviews/this analysis is not meant to be a scientific study. So before the market research readers begin poking holes in these findings, let me suggest they relax a bit and enjoy what we’ve learned. 1. Most millionaires have high incomes, but it hasn’t always been that way. The median annual income of my 100 millionaires was $250k, much higher than what’s been found in broader studies like those detailed in The Millionaire Next Door , The Next Millionaire Next Door , and the upcoming book Everyday Millionaires . That said, millionaires do earn higher than average incomes in every study I’ve seen. The main reason millionaires earn more is that they are great at growing their careers. They know that just a bit of extra, focused effort can make a huge difference in how much they earn over time (which is literally millions). As a result, they invest time and energy to grow their careers and the skills needed to get ahead. Many nay-sayers will object to these findings and thus begin making excuses why they can’t be a millionaire. A common example is something like this: “If some guy/family makes $250k plus a year, that’s a no brainier….I could do that with no investment risk and free cash flow unless I was an idiot” (from my post titled How to Ignore the Basics of Personal Finance and Still Become Rich). First of all, no, that’s incorrect. A large income alone does not guarantee a high net worth. In fact, there’s no correlation between income and wealth. If it was that simple this site would simply be called EMoney.com. Second, most readers see an income of $250k and make the assumption that millionaires have been earning this much throughout their careers. This is incorrect as well. In fact, most millionaires started with very modest incomes and advanced over time. So yes, millionaires make a lot of money at work. But it’s not like they’ve been doing it for the past 30 years. Most started low, applied themselves, and worked their way up the ladder. Key learning: Do not get frustrated if your salary is currently low. Many millionaires were once in your shoes. Grow your income by applying my seven principles and over time you will make progress. 2. Millionaire work-life balance is a challenge but often improves with time. As you might imagine, most organizations do not pay $250k per year to people who work 30 hours a week. Most millionaires are a stereotypical lot with long work hours that eat into family and free time. As a working mother, married to a working father (he’s a mechanical engineer) work-life balance has always been a challenge. Five years into my 20 years of private practice, I had a 7 year old and 1 year old, so I changed the office to half day off each Friday. My staff and I all enjoyed having a better quality of life, and as a result we are all very happy. Now I work 3.5 days, and because of our traffic problems in the area (going 4 miles to work can take an hour) I go in at 7am and stay until 2:30p.m. Getting home early allows me to be there for my teenager as we no longer have outside family support like we did when we were younger. I no longer accept as many networking or professional engagements outside of my office hours, so my husband, daughter and I enjoy dinner together each night. Additionally, we all work out each weekday evening at the YMCA, and enjoy our family time. We are jealous of our weekends, and other than our daughter’s music performances, we go to the cabin to escape the rat race of Silicon Valley. This allows us to enjoy our time together as we hike, go to the beach and cook together. It’s typical to see millionaires with significant work commitments early in their careers. They then make adjustments along the way to get more balance when life changes (usually kids). And ultimately they apply even more/better changes as they reach economic security. So it starts out tough, improves to bearable, and eventually is amazing. This has mirrored my journey as well. It’s a challenge, there’s no doubt, and each family has to determine what works for them. In our case my wife stayed home and it made a huge difference. Many do the same. Others work out an arrangement agreeable to both partners. Key learning: Making a higher-than-average income generally entails longer-than-average work hours. Each family needs to find a balance throughout their lifetimes. Many do so by sacrificing early in a career and reaping gains later. 3. Most have more than one income source. Of the 63 millionaires asked if they have income in addition to their careers (I added the question starting with millionaire #38), 39 had one or more. As you might imagine, many of them answered with something akin to “I already make $400k a year and am lacking time, so I don’t think I need a side income”. It’s hard to argue with that reasoning. On the other hand, 62% of them did have at least one extra income source with the most popular being real estate (23 of the 39). Other popular choices were dividends, side businesses, and various investments. It’s rather common to hear of millionaires investing in real estate. Before these interviews, my assumption was that this is how many made their fortunes. But generally it works in this way: millionaire makes a ton of money at work and invests a portion of that in real estate. This then increases income even more, which provides even more to invest. You can see how this leads to an awesome financial cycle that feeds on itself to drive wealth. The same can be done with a side business (which is what running real estate really is — a side business) or any other source of extra income. Key learning: Millionaires develop multiple streams of income that enable them to grow their net worths exponentially. To do the same, consider real estate, a side business, or dividend investing. 4. Millionaires save much of their income. I know, not a shock finding. That said, this point is why income alone is not enough. You MUST save it (which then allows investment). If you make $250k and spend $250k, you are no better off at the end of the year. The median millionaire spends $90k a year while earning $250k in income, an impressive 64% savings rate. That said, these numbers are likely off since some don’t compute when compared to other answers, some interviewees don’t count taxes in their spending, and so forth. So take this percentage with a big grain of salt and simply consider it as “they save a large portion of their income”. Despite these big numbers, it hasn’t always been that way. Just like with their incomes, millionaires generally started low then grew savings over time. From age 23-33 I saved some amount diligently in my 401K (but did not necessarily max it out), and then over and over again would take out 401K loans for big expenses; essentially I was never able to accumulate a healthy principle. I literally had $0 in savings at age 33. From age 34 onward I have been maxing out my 401K, maxing out my ESPP options, saving my employer stock and pushing up my savings each year into a mix of taxable and non-taxable accounts. When I became eligible to participate in my employer’s deferred compensation plan that helped me further expedite my savings and minimize my taxes. For the last 3 years I have gradually pushed up my savings from 60- 72% of my total compensation. And I have accumulated my entire net worth in the most recent 8.5 years. This is a perfect example of small progress over time making a big impact. Key learning: If you want to grow your savings, start anywhere (even if it seems too small) and build over time. As it grows, so will your net worth. 5. Most millionaires do not have a budget. This was probably the biggest surprise for me. I would have guessed that 75%+ would have had budgets. In reality 46 of the 63 asked do not have a budget. While it was not expected, the reasons millionaires don’t need a budget makes sense — they make a lot and have self-control. In other words, they make a ton, spend only a portion of it, and have plenty left over. Who needs a budget? I track our accounts using Mint and Personal Capital, and use cash back credit cards exclusively for every possible expense. But, we have never made a formal budget. Every few months I look to see if my cash balance is bigger than it was a year ago. If it has grown, I invest the money. If dropped, I try to hold off on discretionary expenses. Last year according to Mint, we spent $90K, including $13K on home improvement projects. This is similar to my personal experience. We had a budget early in our marriage. We weren’t making what we would in later years, wanted to see where our money was going, and felt a budget gave us more control. Over several years of using it we developed our moderately frugal lifestyle to the point where it was second nature. We knew we would not over-spend. This is the experience most millionaires have. Their incomes have grown, they don’t spend a lot relative to those incomes, and so they don’t use a budget. Yet many still track spending in one way or another. Key learning: A budget is great for the early phases of a financial plan, but if you can grow your income and develop self-discipline not to spend, it’s not vital to your success later on. 6. Travel is their favorite splurge. It can’t be all high incomes and low spending on the path to millions. That makes Jack a dull boy. No, millionaires need to enjoy their lives too and thus spend on things that make them happy. By far the overwhelming answer is “travel”. Travel is our hot button. We are pleased to know that thanks to Personal Capital, we have come to realize that we can allocate $30,000/yr into travel and still have a 98% chance of meeting our financial goals until age 95. While they control their spending, millionaires also make room for fun. They work hard and enjoy the fruits of their labor by traveling. Key learning: The road to wealth isn’t simply saving every penny you can. You need to enjoy the ride, so spend some on what makes you happy. 7. Millionaire’s investments are generally simple and low cost. As you might imagine, millionaires have a wide range of investing ideas and plans. But when it comes to the majority of their investments, they generally buy and hold low cost stock index funds https://esimoney.com/why-i-invest-with-index-funds/. I’m no genius, I can’t predict the markets, and I don’t enjoy following the market. For that reason I used the VTSAX index fund for the majority (95%) of our investments. I love the fund’s low cost (.04%), diversification, and simplicity. We do not have any bond allocation because when we turn 60, we’ll receive pensions of roughly $50k combined. We’ve discussed index funds quite a bit, so there’s no need to beat a dead horse. But suffice to say that the high returns and low costs of stock index funds (I personally prefer Vanguard as do many millionaires) are the foundation that many a millionaire’s wealth is built upon. Key learning: Low cost stock index funds purchased and grown over time are a key part of building millionaire wealth. 8. Most millionaires check their portfolios daily. This was another big surprise for me. This is surprising because checking daily balances often leads to over-trading (getting nervous that “something is happening” and taking action) that almost always is not in the investor’s best interest. In fact, this is one of the top mistakes that average investors make — watching the markets so closely and making investment moves that are often detrimental. And yet millionaires get away with this habit. It’s likely because the self-control that makes them such great savers also aids their investing. So while they may watch their investments daily, they don’t panic when things go wrong and make tough situations worse. I can’t recommend checking your investments daily for most (I myself check maybe once a week or so), but millionaires make it work. Key learning: Self-control in finances is a powerful attribute that can help in investing as much as in saving. 9. Most millionaires became wealthy by simply focusing on the basics over time. The upcoming book Everyday Millionaires lists a couple myths about millionaires as 1) they inherited most of their wealth or 2) they took big risks and got lucky. I have had one or two interviewees with some sort of fortunate life event (like working for a start-up company that made it big and paid stock options), but almost all of them grew their wealth the old-fashioned way: they earned a lot, saved a ton, and invested for a long time. No, it’s not glamourous and doesn’t make for a compelling story. They just covered the fundamentals and kept at them for a while. Boring stuff, but effective. We started with literally nothing at ages 27 and 25, and never really made big salaries (although if someone had told me when I started out that I’d be making 6 figures someday, I would have told them they were crazy). We had some luck selling homes at the right time and made a few dollars as we were forced to move a couple times. But there was certainly nothing strategic about the timing. It’s like this for most of them. They make solid money moves over time and ultimately become wealthy. Key learning: Becoming wealthy is simple — create a gap between earning and spending for many years. A huge inheritance or hot stock tip is not required. 10. Most millionaires believe “if it ain’t broke, don’t fix it”. I have always wondered if the wealthy change things up a bit once they see some success. We all hear that the rich have access to investments and opportunities that everyone else doesn’t, right? This is where they would spill the beans, tell how their millions opened new doors, and share the secrets of the uber-rich. My plan is to continue doing what I am doing until I decide to retire. And why not? What they’ve been doing has made them wealthy, so why switch it around? That said, the real test will come when they retire. At some point they will have “won” the game and need to do things differently (i.e. transition from accumulating to drawing assets). Key learning: If you’re having financial success (which you will if you cover the basics), keep on the same course to add more wealth. 11. All millionaires have made money mistakes but they’ve avoided death blows. From personal experience I know that you don’t have to make 100% right moves to grow your net worth. That’s why I like to post about my mistakes from time to time — to let readers know it’s possible to become wealthy while making a few missteps along the way. Millionaires are the same. They haven’t made only right moves to get where they are. Which gives us a chance to learn from their mistakes. In fact, sometimes more can be learned from mistakes than from successes. The first addresses the fact that bad things happen in life — unexpected misfortunes descend upon us all. The second addresses actions we took that were mistakes and hurt us financially. Yes, sometimes we shoot ourselves in the foot. I have made so many mistakes when it comes to investing. Just like most others, millionaires had challenges and mistakes to overcome on the way to becoming wealthy. That said, none of them made huge mistakes that doomed their finances. No one said, “I took all my money to Vegas and placed it on black”. Said another way, their mistakes were not so costly that their finances were crippled. In addition, millionaires helped themselves out by generally avoiding the ten worst money mistakes anyone can make, especially the most impactful ones towards the top of the list. Key learning: No one needs to be perfect to become wealthy. Circumstances conspire against us and mistakes are made. All millionaires have these challenges, have persevered to overcome, and also avoided huge mistakes that could doom them. 12. Millionaires are concerned about healthcare costs. I ask millionaires if there are any retirement issues that concern them. The top answer by far (from 36 of 61 who answered this question) was healthcare. Another few answered with the closely related “good health”. The healthcare system in the U.S. is very scary and concerning to me (again, I’m from Japan where they offer universal health insurance like Canada). We are trying to learn about individual health insurance (I keep reading your blog post about it). We also haven’t ruled out a move to Japan. A health issue can be one of those killer circumstances we talked about in the last point. And yet the way to protect yourself from that problem is so expensive in and of itself that it’s a concern for even those who have a large amount of wealth. It’s their wealth that often makes things worse (or more specifically their income). If millionaires amass enough wealth to provide a decent income, the subsidies under the Affordable Care Act disappear. And if they don’t get subsidies, the ACA is anything but affordable. This is especially troublesome for early retirees who have limited affordable health insurance choices before Medicare kicks in. Politicians don’t seem too concerned about this issue, so my guess is that a solution is far from close. Key learning: Even the wealthy have money issues, and retirement healthcare is at the top. 13. Most millionaires do not have a formal estate plan. Sure, almost all have “talked about it with their spouse”, “have a general idea what they’ll do”, or “need to work on that”, but 38 of 61 do not have a written estate plan. This makes them pretty average as only 4 in 10 Americans have a will or trust. You’d expect the wealthy to have a bit more planning and organization (at least I do), but that’s not the case. Yes, millionaires know this is something they need to address but most haven’t gotten around to it. Key learning: Even the wealthy have gaps in their financial plans. Overall, I found this information quite interesting. It was both insightful and full of great tips, two reasons I love millionaire interviews so much. I can’t say that I am wowed by the findings. After all, this site is named E-S-I for a reason. Instead these interviews reinforced the good money principles we regularly address here. Over the next few months I’ll be reviewing specific learnings in more detail and focusing posts on one key wealth-building finding at a time. It promises to be a fun ride. This summary just confirms that the process of ESI works. At one point I will cave in and offer, and hopefully get accepted, to do one of these Millionaire interviews but a lot of your observations are pretty much in line with my life. I have never really budgeted during my entire life (got me in trouble in the beginning but now after I saw the financial light and have discipline it is really not a necessity). I have had numerous mistakes in my life, financial and otherwise, that when totaled up have likely caused a $2 million dollar hit to my net worth, but because of my incredibly high salary, I have bounced back and overcome that whole and then some all within just a single decade. My biggest financial blow was a very contentious divorce and subsequent civil lawsuit my ex filed against me (and lost), that alone was a million dollar expense when all was said and done. Travel is definitely the best return on my money as the experiences last far longer than any material purchase. As my wealth grew, I too turned to real estate, namely private syndication now, to supplement my income. The returns from real estate, plus the dividends from my other investments has allowed me to take a day of from my medical practice without missing a beat in my financial bottom line. As my income grew from these extra income streams, my savings rate skyrocketed as well as I kept spending around the same each year. It has easily been in the 60-70%+ range for 3 or more years and at my salary level it causes a large infusion of capital each year that makes my net worth continue to rise rapidly. Loved the wrap up post. Looking forward to your future more in depth wrap ups. Glad to know that so many of my quirks that most of my friends find strange is actually normal in this crowd. Great summary. Hopefully readers of the ESI blog will look at how the Millionaires started and progressed to reach their goals. Every one of us (MI #97) started out somewhere and usually it was an entry level job with low pay. We applied basic principles (E.S.I.) that got us to where we are today. While I have not read all 103 interviews to date, I think I am safe in saying that the vast majority of interviewees built up their wealth over time and not through some overnight success. The interviews start with current net worth, but readers may way to skip that and read all the other answers first, and then come back to the first question. Hopefully these interviews will help others who are at the beginning, middle or nearing the end of their journey towards financial independence. I can’t disagree with any of the above. – Buying my house definitely made a big difference to my bottom line, despite the many comments of Rent is Best. – Invest in yourself. Keep up to date, don’t stagnate… None of your millionaire interviewees, sat back and waited for things to fall in their lap. Great stuff ESI! The budgeting piece is interesting. I thought I was alone in not having a budget, but apparently, I am in esteemed company! Love these interviews and I’m looking forward to seeing what other insights you pull out! Thanks for the summary, ESI. I’m glad you called out the income growth piece. I’d see in the comments sometimes mentions about high incomes making it easy, or requests for middle income examples. (And I have to admit, the ones with incomes over $500k I skimmed through pretty quickly…) But, there were so many times that the starting points were in those low to middle ranges and intentional action led to the high income. That’s really helpful. A good reminder that we should spend our energy looking at what we can replicate, rather than looking for reasons to invalidate a success. I was one of the hundred and this post makes me feel…. Normal! I didn’t realize how well I fit in until now. First job paid 18k, but grew to a big paycheck over time. We didn’t budget, no estate plan except for a will and power of attorney but we recently updated those. High savings rate. Health insurance costs me 16k per year and long term care insurance is also high. Love your blog, and your insights! I don’t remember, I’ve done quite a few interviews and podcasts as a guest. I’m pretty sure yours was one of them because it is hitting the big time to be one of your subjects! I looked it up, it was #64. I’ve only been reading your blog for a little over a year now, but I wish it was around 20 years ago! I, respectfully, disagree. One of the “aha moments” from the original Millionaire Next Door was that most millionaire couples consist of a working spouse and a stay-home spouse. Why? Because one spouse is free to flog the earnings while the other guards the treasury. We were a mid six-figure, dual-income couple with two kids in an affluent neighborhood in the early 2000s until we read the original MND and asked ourselves why we had a nanny, housekeeper, yard service, etc. We realized that, despite our high earnings, we actually lived (food, shelter, clothing, utilities, vacations) on about $50-60k/year. Because my job had a high risk of litigation, my spouse became the sole breadwinner and I stayed home (downsized to a less affluent area). The rest of the story is very ESI: Spouse rose through the ranks to become Global Director (maximize earnings), I controlled expenses so that today we live on $70k/year (save), and we plowed money into savings (invest). We’ll be retiring next year in our mid-50s, debt free, with several million dollars. Long story short: If both of you working costs more, someone should stay home! I’m not sure what you’re disagreeing with. First of all, the results I’m sharing are from my interviews, not TMND. A few things I’d like to add. Aside from potential money issues- I strongly believe there are huge benefits to the kids/family if one spouse is staying at home. I was very fortunately we were able to do this. It’s a personal choice. Can you have a great balance with the kids if both parents are working? I’m sure you can but it’s gotta be a challenge. Conversely, if you do have a stay at home spouse an they think they can just jump back into the workforce when the kids are going to college- beware. It’s not that easy. There is a story I’ve heard about someone asking a dead person what were their biggest regrets in life. It was not spending more time with their kids/family. It wasn’t they wished they worked more hours or made more money…. That said, it’s not the path for everyone (for many reasons) so I feel it’s wise to offer various points of view. Its a personal choice with regards working spouses… some people (women and men) aren’t wired to be at home all the time. We have been lucky to co-own a business and work together, thus one of us left the office and was home when the kids got off the bus…so we in my mind had sort of the best of both worlds. Of course working with your spouse 24/7 is probably worthwhile to explore for its own article! Great series, ESI. Thank you for all your years of effort on your sites, too. This series on esimoney.com is something I always look forward to, and I’m grateful to your readers for sharing their stories. The conversations on this board are unlike any I see elsewhere on the web, and certainly unlike anything I witness in real life, where the face-to-face between people ,who actually know each other, often turns into a competition of half-truths, total lies, and laughable bragging. The interviews, and your analysis/commentary, are amazing and I’ve shared your link with many fellow PF enthusiasts. Continued success to everyone in 2019! I’m immensely pleased to be one of the 100 members of the ESI club. And an average one at that! 1. Most millionaires have high incomes, but it hasn’t always been that way. Check. $400-500K mostly from my salary & incentive comp, but started from a very very low base in my 20’s and 30’s. Income has varied all over the map given high incentive pay component. I come from very disadvantaged background, had to overcome many hurdles, but was a top student, grad’d from a top university, wife from solid middle-class family culture. Financial inheritance has not been a factor in achieving NW, but what really mattered was the frugal Millionaire Next Door example my in-laws set for us, the tremendous work-ethic and aspirational example my single-mom set for me, and our perseverance in the face of many setbacks along the way. Most of our NW was accumulated in the last 20 years. 2. Millionaire work-life balance is a challenge but often improves with time. Check. I’m still working hard and its still a big challenge to balance, but has gotten a lot better in recent years and now having achieved FI, I certainly stress a lot less about work than I used to. Put it to you this way…. the threat of getting terminated doesn’t exactly cause me to lose sleep anymore. If anything, my boss should be worrying if I’m gonna stay or go. 3. Most have more than one income source. Check. We have income from real estate assets. Also, wife has had her own career and small-businesses though her greatest financial value-add has been flexibility to focus on everything I could not when I was working 60-70 hours a week. 4. Millionaires save much of their income. Check. We live a very nice lifestyle and live in a very expensive metro area, but are frugal relative to our income and NW. We don’t spend frivolously and we support a few good charities in a significant way. In particular we have a policy of banking windfalls (and we’ve had a couple of great “liquidity events”) and reinvesting. 5. Most millionaires do not have a budget. Semi-check. We used to budget when first married. Sometimes it worked well and sometimes it did not. It worked well once we became really realistic about what we were actually going to spend and became aligned on our early goals, like buying first home. We don’t budget anymore as technology now allows us to closely track where $ have gone and make adjustments to spending as we go. 6. Travel is their favorite splurge. Semi-check. Would say housing & related is our #1 favorite, but travel is a close second. 7. Millionaire’s investments are generally simple and low cost. Not exactly. This is true of our stock market investments, but we also invest in real estate, which is not exactly simple or low cost. If not for the big R.E. gains our NW from basic blocking & tacking & saving would probably be about $3-4mm. 8. Most millionaires check their portfolios daily. You betcha! Frequently re-evaluating how our assets are performing focuses me on thinking about opportunities for investment. 9. Most millionaires became wealthy by simply focusing on the basics over time. Hmm.. not sure about that one for us, though was certainly true of my MND in-laws. Agree that being very good at the basic blocking and tackling of personal finance is very important, but we’ve also earned a great deal of our NW from taking calculated risks in reasonably challenging and complex business endeavors. At our level of NW, the complexity of managing taxes, liabilities, and investments has grown exponentially. 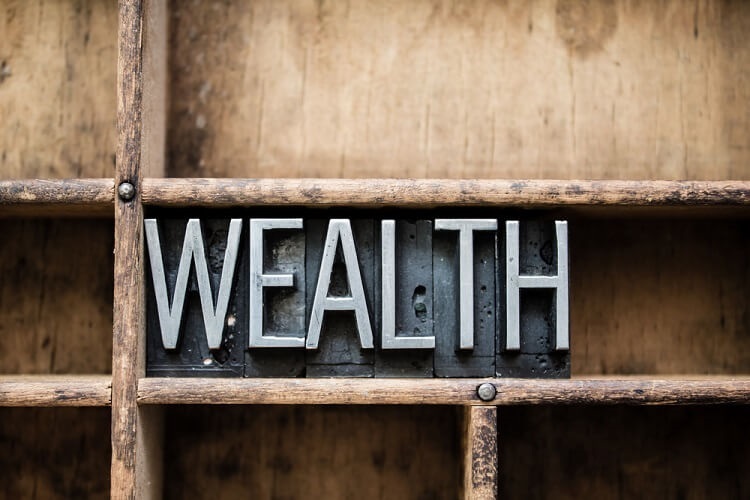 For me, this is perhaps the most surprising thing about wealth – the complexity involved in running and keeping wealth – because there are lots of folks out there working hard to separate it from you. 10. Most millionaires believe “if it ain’t broke, don’t fix it”. Hmm.. i dunno about that one. We’re always thinking about whether we can do things differently or better to either make our lives easier or to earn more of a return on our effort. 11. All millionaires have made money mistakes but they’ve avoided death blows. Check. Avoiding or insuring against the death blow is absolutely critical. 12. Millionaires are concerned about healthcare costs. Check. Dang right. I figure if it worries me it must worry just about everyone. I’ve seen with parents just how quickly healthcare expenses can destroy wealth. I hope to do the Millionaire interview someday. Thanks to ESI for a great series! Although I agree that most may start out at modest income levels, I do think that the higher incomes is an understandable theme. We have over 1M in wealth, not including our home and personal assets and still only have a gross household income around 110k. Fortunately, we are debt free and can save half of our gross income each year. I do believe we would be much further along if we had income similar to the averages your 100 had. Having lower income also limits your investment options. Healthcare is definitely a huge concern. Obamacare not only reduces its subsidy as you make more money, it also has a minimum requirement. Therefore, if you don’t make enough income, you may not qualify for any subsidy. At this point, since I’m still in my forties, I don’t think Obamacare is a trustworthy long-term source for affordable healthcare insurance for someone trying to retire early. When you research other options, having pre-existing health conditions also reduces your insurance options significantly. I agree that it looks like our elected officials won’t be resolving this issue anytime soon. Once you have a nice home, reliable transportation, the big screen TV and other standard material items, acquiring more seems like a waste of money. Travel is by far our largest discretionary expense. At some point, “stuff” is simply not so important. My parents paid for a year of technical schooling after I finished high school. My employer paid for my college education. It doesn’t seem like much, but starting without college debt is a huge deal. It is important for people to understand that mistakes will happen. We certainly have made our share. The key is to learn from your mistakes, adapt your strategy and keep investing. The discipline to spend less and save more is a must for wealth accumulation, especially if you are working with a more modest income. My father referred to it as the get rich slow plan. The development of index mutual funds has to be one of the best tools to come along for personal investors. I am not surprised to see so many millionaires utilizing them. I don’t see people mention it much, but we live in a time of unprecedented access to information. If you are born in a democratic westernized country, you most likely have access to incredible array of technology and information. This means that you can research, learn and utilize technology to maximize the effectiveness of the wealth you do have. Whether reading blogs like this one, finding the best deal on material/services, researching DIY items or using apps to find your way around in a foreign country, it’s incredible what we can do these days. Keep it up. I enjoy reading and learning from your site. Great summary and work. The “plan” is actually very simple if not boring. I try to help my kids understand all this, I just don’t know how much they will listen to. I will say reading through most of these posts I’ve learned a lot as well. Most importantly to start regularly giving more to charity… I’ve already started and have added a couple. St Jude Children’s Hospital and a local animal protection charity. Feels good. Thanks. Although their incomes are higher than what’s reported in The Millionaire Next Door, like you said, these folks still work hard to save what they earn. It’s encouraging to know that financial independence is very, very attainable if we’re willing to pursue the simple but challenging path. I’m impressed at the overall savings rate of the millionaires. I don’t know if you asked this question, but it seemed like a lot of the people surveyed have paid off their homes. I wonder if this is a common practice for millionaires. $90K seems like it could get you by quite well, even with lots of travel, if your home were paid off. I love this series and have learned a ton! We’re 11 out of 13. We don’t own real-estate since I don’t want the headaches of being a landlord, however small it may be if you find a good management company. But I agree it’s a good, diversifing investment. We’re living with higher volitility and less diversification with just equities and REITs. We do have an estate plan. It’s silly not to once you hit a certain net worth threshold like what the average MI has. But we have a special needs child so that was extra incentive for us to get one done. Our combined income has never exceeded $250k per year (but close) yet we are slightly above the averge MI interviewee in net worth and slightly lower in age. Why? We invested heavily in higher education and got resulting higher starting salaries. We also had children in our mid-30s so we could invest heavily early on and let that wealth grow longer. I would perhaps be the exception to the MI theme in terms of debt. I currently carry ~$2mm of mortgage but a big chunk of my assets is in real estate. The debt gives me the opportunity to…well… leverage more assets and new opportunities. I am comfortable carrying this level of debt because #1 it is backed by over $5mm of asset value, #2 I have cash & financial assets that would allow me to repay it in full if forced to, and #3 the debt service is manageable over the next few years. For me having access to alternate sources of capital and financial products that can be utilized for further investment is one of the many benefits of millionaire citizenship. As I approach retirement, I will most certainly manage the debt down as I shift my asset mix more from r.e. to financial assets. While I agree that being a landlord is most definitely not for everyone, the potential gains are hard to beat. I have achieved an overall compound annual growth in NW of 20% over the past 20 years. I assure you that has little to do with the returns on my balanced portfolio of equities and fixed income, though that hasn’t done poorly and there is certainly a proper place for that type of investing. My home runs have mostly been in real estate. So, I am a big fan of r.e., though it is a job unto itself. FYI, commercial r.e. can sometimes be less of a headache than resi. And as you mentioned REIT’s are one way to participate in a diversified way. But what is interesting about the stats and interviews is the variety of different ways people get to financial independence. Mine is perhaps a higher risk, higher reward path to the Investing component than many others, though I do still believe the fundamental Earning and Saving part very much applies no matter what. I’d love to hear your mindset on real estate debt and how you measure and take calculated risks. It’s not the average millionaire next door way but then again your level of wealth is much more than the average millionaire next door so I think there are some good things to learn from your approach. MI 77 also has done this with a significant portion of wealth in leveraged real estate. Hope to see your interview soon! Gave some thought to your question, which is not an easy one to put pen to paper, mostly because whatever it is I’ve been doing is completely second nature to me now. I certainly would not call myself a r.e. professional since I see it as a side gig, and not our primary source of income though it has certainly been NW enhancing. One might say that we’ve just been very lucky to have invested in a rising market, but I believe its more than that, as we’ve certainly rode the market through ups and downs, its just been mostly up. For example, I purchased a commercial property at what looked like a big premium just before the credit crisis – did not tell any friends about because they would have thought I had lost my mind in terms of what we paid. But wife and I looked at the numbers – we had had a good year and had the cash to buy it and we knew that we could get a very nice rent for it because we also knew about a nearby development that would greatly boost demand for our property. Well, 2008 comes along shortly thereafter and blows all that up – the nearby development gets put on hold and the value of our investment is cut by half – we were not lookin so smart right then. But, we did collect enough rent to cover the carrying costs and we sat on it for 10 years, by which time, the aforementioned development was finally completed, somebody made us an offer we simply could not refuse, and we sold for a multiple of our original investment – home run. It was not the quick flip I was expecting, but patience and the original homework paid off. I only now wish I’d had the intestinal fortitude to buy more property in that area during the recession – but hindsight is always 20/20. I guess I’d say that wife and I are the types that research any investment to death. We ask lots of questions, we look at ever angle, we think through every conceivable problem that could arise, and we drive people nuts with our need to understand details most people (supposedly, according to brokers) would never think of. And then we act – which I believe is what separates the wheat from the chaff as the saying goes. I know lots of dreamers and planners, and its great to have ideas, but some people get stuck in that phase and nothing happens. So, at some point you just gotta accept that you’ve done your diligence and exhausted ever angle, and a decision must be made. It just seems to work out that whenever one of us is worn down and/or stuck, the other is decisive, confident and moves things along. We kinda trade places and roles in that way. We are sounding boards for each other. Wife has started and run small businesses so she has great org skills and I am a numbers guy so I can crank up the spreadsheets. I’d say that if you don’t don’t have a partner with complementary skills in that way, find one…. not a new spouse of course, but someone to fill in the gaps of your personality, experience, etc. Setting aside the whole income-producing property concept for a moment, I believe that for most people, home ownership is a critical component of wealth accumulation because of the discipline it imposes – because in a conventional mortgage principal is paid down over a long period, so not only is it shelter, but it is a savings vehicle and storehouse of wealth. There are always exceptions of course, and market distortions that allow people to over-extend themselves can create problems, so there is that. But, I think it mostly works. On the question of how much debt to carry, that is really an individual thing. We have never been very comfortable with personal debt – we are the types to pay cash for cars, and pay off credit cards in full each month. But, in terms of r.e investing, I believe it simply allows us to leverage more assets. In other words, a 10% return on $2mm is better than a 10% return on $1mm…. $1mm of added debt allows me to do that. But I never want to have more debt than our cash and financial assets. You have to be in a position to weather the inevitable storms, like I described earlier. If we did not have the ability to ride out the recession on that commercial property, we would have lost our shirts on that investment. Anyhow, gotta go. Thanks for your question and making me think about this. P.S. I read MI77 – very impressive! With respect to the fact that the ESI millionaire stats show higher income than the Millionaire Next Door stats. As much as I loved the MND series, especially the first book, it has always been my opinion that their stats were less than sound, and specifically “tailored” to the message they wanted to deliver. Many of millionaires I know (and I do know quite a few) don’t really fit the MND profile and I think that’s partly a function of living in a coastal urban environment. Don’t get me wrong, I believe the message of MND is a positive and helpful one for the vast majority of people. You can’t really go wrong with following their advice. I just don’t believe it is statistically sound based on my own observations. For one thing (going from years ago memory here), the MND relies on self-reported valuation estimates of their businesses – lots of room for fluff there, whereas ESI stats while also not exactly verified (correct me if I’m wrong here), at least most people are basing their NW on what’s in their investment accounts and r.e. value which is much much easier to determine. The ESI stats are a small sample and not statistically sound either, but IMO better reflect reality… or at least my reality. I would add that most, if not all millionaires don’t feel rich or wealthy. And it’s not more money they truly seeking its security, choices, helping others, leaving a legacy and feeling satisfied their efforts have not been in vein. Real nice blog and nice style of writing! My first visit here. I have only been blogging myself since July at age 67 (yes that is not a typo). Although I have no hope of matching anything like this site, I do enjoy blogging! Just getting to this post now. Well written and well said. Simple things can get you to the land of riches, but discipline is key among all of them. Thanks for taking the time to compile such great information. My path has been a bit different than many on here. I’ve never made much money (currently 60K and I’m early 50’s), but I, like many in MND, have been a PAW. I can only imagine how much wealth I’d have if I made 250K! I’m a scientist and after grad school selected to maximize my retirement account and have retained that approach my whole working career. In addition, we live way below our income. The general approach has not changed over my ~25 year career. I’ve always purchased economical cars and keep them until they quite operating – currently 24 and 11 year old cars. I live in an academic community and commute via bicycle. Additionally, I have one child and while we purchase nice things we look at them as long term investments, as much as possible. My spouse went back to work after our child entered elementary school and now makes more than me (~85K), but we lived for five years on solely my income. Like many of your interviewees we value experiential spending, not material spending. Travel and high quality food are splurges for us, although we grow much of our food via gardening. Finally, while we lived in a very economical house for the early years of our marriage (house was paid off at 40, but it was only 115K) we’ve since built a very energy/ecologically efficient house (spent ~500K) which still has ~six years left of a 15 year mortgage. Our plan is to retire at 60. Pretty much about how millionaires became millionaires. Nothing about how they manage their lives in retirement. Getting rich is easy. Make a lot of money, save a lot of money, invest what you save, burma shave. I’d be interested in understanding the parameters of how they didn’t go broke 25 years into retirement after the cancer diagnosis or the divorce.